sewhungryhippie: Eco-friendly craft ideas from some of my fave blogs! Eco-friendly craft ideas from some of my fave blogs! These blogs are among my faveorites! Mark them down-you will love 'em. I link-d to their blogs so you can make these projects too. 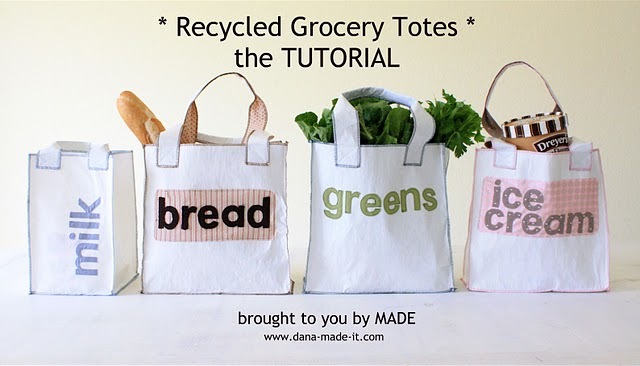 Dana's awsome grocery totes made from recycled plastic bags! WOW...find it here! Totally awsome T-Shirt Yarn placemats!! A nifty Crochet "Plarn" mat! What have you Upcycled? I want to see!